Data is from an August 2015 Adobe survey as cited in company blog. 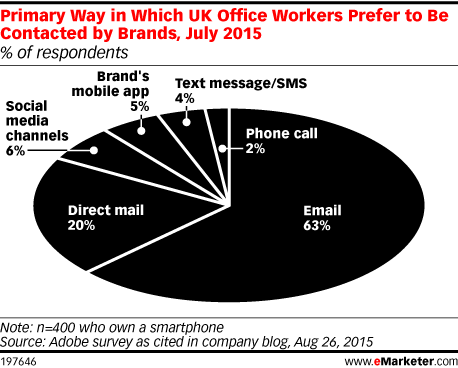 400 UK office workers were surveyed online in July 2015. All respondents were smartphone owners.